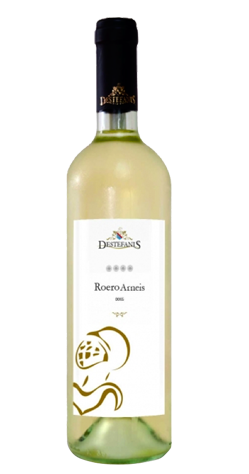 Roero Arneis: from vineyards located in Canale, Castellinaldo, Guarene and Piobesi d’Alba. It ages in stainless steel vats for minimum 3 months and in the bottle for 1 months, with a total annual production of about 7,000 bottles. Roero Arneis Libero M’Incontrerai: from vineyards located in Canale, it ages in stainless steel vats for 6 months, in small oak barrels for 1 month and in the bottle for 2 months, with a total annual production of about 2,000 bottles.